Shay's work is incredible! I LOVE the Little Miss Momma design! My blog could REALLY use a major makeover! So excited about this! THANK YOU! Such cute designs!! My favorite is the "a bride, her beau" design! adorable!! i literally just tried to start a blog and NEED help-mine is anything but cute! My favorite is the Elle blog! Love clean lines and organization--hate clutter! All Things Beautiful is my favorite! 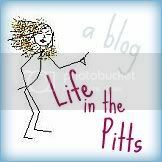 Already following Life in the Pitts! I tend to like 3 column layouts best. As long as it's clean and organized...I can't stand a cluttered look or too many things going on at once. i hate not knowing what the freak im doing! I love the California Sunshine Girl site. So cute! Some of my favorite blog design elements are easy to navigate blogs with a button bar with links to parties, features, buttons, home, etc. I love the Aroo Studio blog! Following Shay on Blogger...does that count? I would say my favorite is "all things beautiful" but it was very hard to pick - Shay is very talented! Some of my favorite blog design elements are things that my blog is currently without: beautiful headers, a aesthetically pleasing 3 column blog that is picture-friendly and buttons that make it easy to navigate around on a blog. Things I don't like? Well, there aren't many for me as long as a blog is well organized! I love Shay's designs! My so called fairy tale is my favorite! My favorite is the Little Miss Momma Business Card. It's unique and will certainly catch people's eye when she passes them out. My favorite blog design element are the logo buttons. When people see it they automatically relate it to your blog!! It's kinda like your own personal trademark. i love all of the blog headers designers come up with - where in the world do they get all of the imagination???!!! The Elle Blog design is so pretty! It's funky with out being cluttered! I took at peek at her portfolio and seen quite a few I liked. I do really like the design for http://www.chictherapie.com/. My favorite blog elements are three colums. I like being able to put button ads in the sidebars as well as other menu options. I absolutely ADORE the Little Miss Momma design! I've been keeping a blog for my son since he was born 2 years ago as sort of a virtual baby book, and this would be awesome to win! I have to say it was really hard to pick just one. I love her work! I think my favorite was the Adventures in Iowa design. I am following her on Twitter too! I like really eye-catching fonts and graphics, but I don't like it if it's too cartoon-ish. My faves are the Little Miss Momma and the All Things Beautiful designs. My favorite blog elements are dynamic headers with pictures and really great/creative blog buttons (which I do not have). The only thing I don't like is when blogs look too generic and tell you nothing about the personality of the writer. I love all of shays work!!! following your blog :) and love it! I love modern looking elements! Birdseed in my Bread is my favorite design. I like the All Things Beautiful. giveaway announced on C.R.A.F.T. facebook! 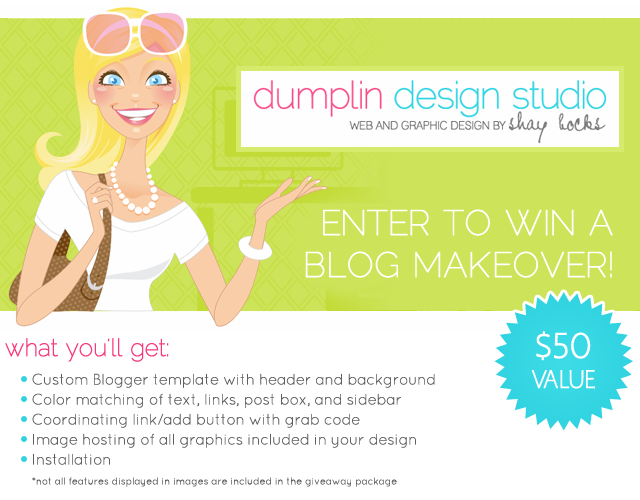 I completely need a blog makeover! 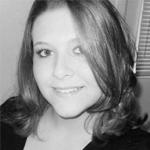 I checked out Shay's portfolio and love the "My so-called Fairytale"
I like the Desert Highway blog in the portfolio! I now follow you on twitter and google friend connect! Retweeted from Shay and then did my own tweet!